The judges are pondering over 10 shortlists for the 2016 Cross Sports Book Awards ahead of the awards ceremony on 1 June. In addition to the titles under consideration for Autobiography of the Year, the longlist for which was revealed in January, the contenders in nine other categories have been named, including the new award for International Autobiography of the Year. As in previous years, after the individual category winners have been announced, each will go forward to an online public vote to determine the overall Cross Sports Book of the Year. Everyone that takes part in the public vote will be entered into a draw to win National Book Tokens. 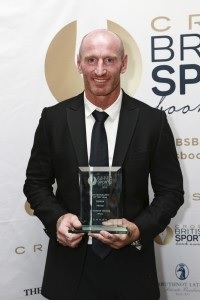 Michael Calvin, who won the overall prize in 2014 with The Nowhere Men and was the ghostwriter behind rugby star Gareth Thomas's 2015 winner Proud, has the chance to complete a hat-trick with Living on the Volcano , his study of what it takes to survive as a football manager, which is shortlisted for Football Book of the Year. Ronald Reng, the German sports journalist who won Biography of the Year in 2004 with Keeper of Dreams and Football Book of the Year in 2012 with A Life Too Short, is shortlisted in the football category again with Matchdays: The Hidden Story of the Bundesliga . John Cross's Arsene Wenger and Guillem Balague's Cristiano Ronaldo go head to head in both the Biography and Football categories, while Richard Tomlinson's Amazing Grace: The Man Who was WG is shortlisted for Cricket Book of the Year as well as the biography prize. Stephen Chalke, author of the 2009 Cricket Book of the Year winner The Way it Was, is a contender for that prize again with Summer's Crown: The Story of Cricket's County Championship . Donald McRae, who collaborated with Steven Gerrard on his shortlisted Autobiography My Story , is shortlisted also for Biography of the Year with A Man's World: The Double Life of Emile Griffith . And Ed Caesar is in the running for the New Writer award and the Outstanding Sports Writing award for Two Hours: The Quest to Run the Impossible Marathon . The 2016 awards will be presented by Sky Sports News presenter Mike Wedderburn and Test Match Special’s Alison Mitchell after a dinner at Lord’s Cricket Ground on 1 June. An hour-long highlights show will be shown on Sky Sports. with multiple repeat shows on 4 and 5 June.